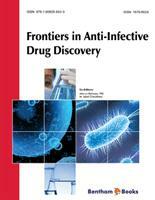 The scientists invited to contribute short reviews to this first volume of book series, “Frontiers in Anti-Infective Drug Discovery” were selected on the basis of their own original contributions in this important field of health research. The chapters contain in this volume are the updated version of articles published in Recent Patents on Anti-Infective Drug Discovery. The reviews cover key aspects of infections caused by a variety of organisms. With the enhanced understanding of diseases at cellular and molecular levels, the search for anti-infective agents is now more rational and strategically based on new tools and novel techniques. Most of the reviews address the molecular mechanisms of infections and development of inhibitors of these mechanisms. Several groups of existing anti-infective agents have also been reviewed. The topics range from vaccines to clinical trials of exploratory drugs, treatment by age-old anti-infective agents, and reviews on recent patents. Each review is well-written and extensively referenced. We hope that volume 1 of this series will be welcomed by of students and researchers and that it will lead to a broader understanding of the current status of this subject. We wish to express our profound gratitude to all authors for their excellent contributions. We are also grateful to the management and the staff of the Bentham Science Publishers (the Netherlands), especially Mr. Mahmood Alam (Managing Director), Ms. Samina Khan (Senior Manager), Ms. Taqdees Malik (Assistant Manager) and Ms. Sadaf Idrees Khan (Composer), for their help in compilation of the first volume of this important series of books. IRCCS H "Casa Sollievo della Sofferenza"
Adesis, Inc., New Castle, DE 19720, Limerick BioPharma, Inc.